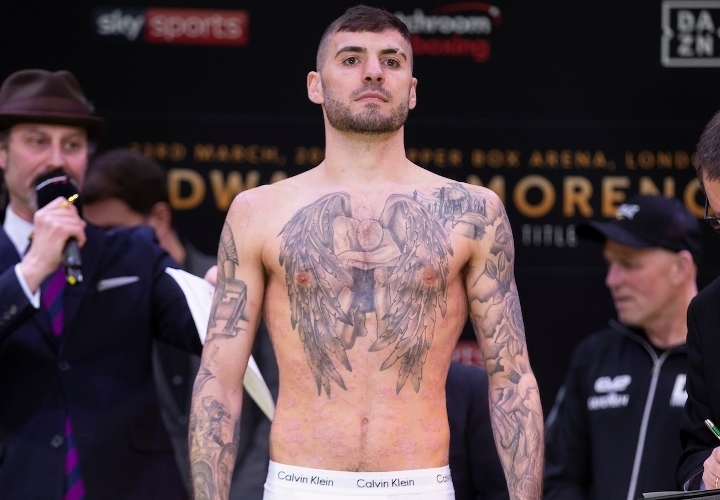 Copper Box Arena, London - For the vacant World Boxing Association Inter-Continental super lightweight title, Lewis Ritson (18-1, 11 KOs) won a ten round unanimous decision over tough German Benitez (21-4). The scores were 99-91, 98-92, 98-92 - but the contest appeared to be a little closer than what the judges saw. Ritson admitted that he didn't have the best possible performance. Last time out, Ritson suffered his first career defeat back in October 2018, at the hands of Francesco Patera. Ritson claimed that he killed himself to make the weight and moved up to lightweight afterwards. Ritson looked very hittable in the fight, as Benitez was able to connect with quite a few punches. Benitez was durable, taking a lot of punches from Ritson and wouldn't go down. Ritson continued to press forward, throwing a lot of punches, with Benitez hanging in there, and he was giving Ritson plenty of fits. Making his UK debut, middleweight contender Jason Quigley (16-0, 11 KOs) made short work Mathias Eklund (10-2) in two rounds. Quigley is hoping to get himself in position for a world title shot by the end of the year. Quigley was going to face then WBA "regular" champion Ryoto Murata last year, but the sanctioning body ordered Murata to make his mandatory against Rob Brant, and that order took away the opportunity from Quigley.